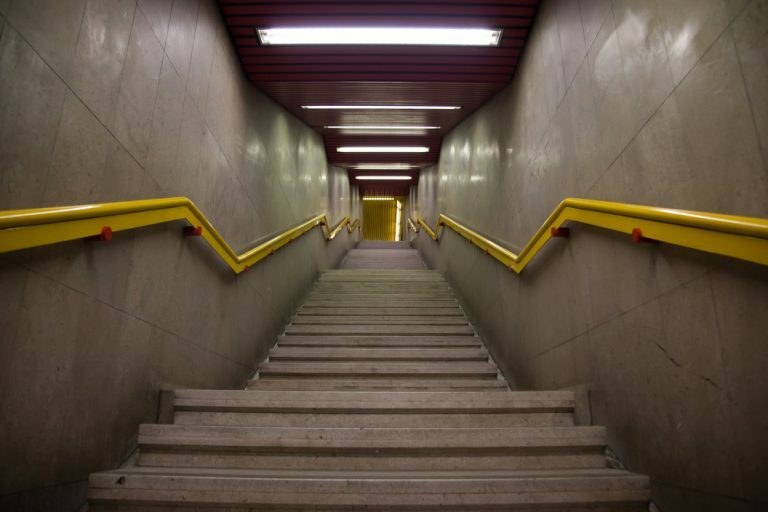 Case Description/Summary: A subway station pedestrian (plaintiff) was walking up the stairs from the lower platform to the main station. As she approached the first of two mid-flight landings, she tripped and fell due to unknown reasons. Her fall caused her to break her leg. Expert Analysis: The plaintiff stated that she had previously used the incident stairs, and that they were unusually dimly lit. The subway operators rarely assigned any transit cars to the platform served by the incident stairs. One day prior to the incident, the station’s maintenance department received a service call for drywall falling from the ceiling over the stairs. This was the only service performed on the stairs for the one-year period preceding the incident, and it evidenced that the stairway was able to reach the deteriorated condition due to either inadequate and/or incompetent maintenance management.